“(H)e realized at once that he shouldn’t have spoken out loud and that by doing so he had, in a sense, acknowledge the stranger’s right to oversee his actions.” This quote from The Trial epitomizes the catch-22 that counsel for GTMO detainees now find themselves in with respect to WikiLeaks documents. “Anyone surfing the Internet this week is free to read leaked documents about the prisoners held by the American military at Guantánamo…. Except, that is, for the lawyers who represent the prisoners,” reads Scott Shane’s front-page Times piece (“Detainees’ Lawyers Can’t Click on Leaked Documents,” NYT, 4/26/11). Kafka couldn’t have written a better line in his famed novel, in which The Law itself is both a pervasive, unseen force and the main element of the parable “Before the Law,” a significant element of the novel. But before we jump up and down with self-congratulatory outrage at the absurdities of “the system,” we might consider another point raised in the penultimate graph of the Times piece, which lays out the problems that the Justice Department is faced with. Summarizing the thinking of Peter Spiro, a law professor at Temple, Shane notes, “The law is clear: only a document that is properly declassified loses its protections. 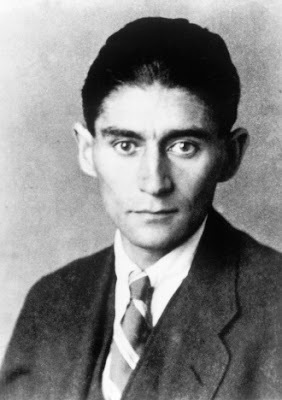 And if the government ruled that classified documents disclosed to the public were automatically declassified, that would simply create a more powerful incentive for disgruntled employees to leak.” Even Kafka might have thrown up hand hands in the face of this anti-parable.